The large surplus of pig and cow manure produced in the agricultural industry gives rise to the development of different technologies for the economical processing and reuse of this by-product. 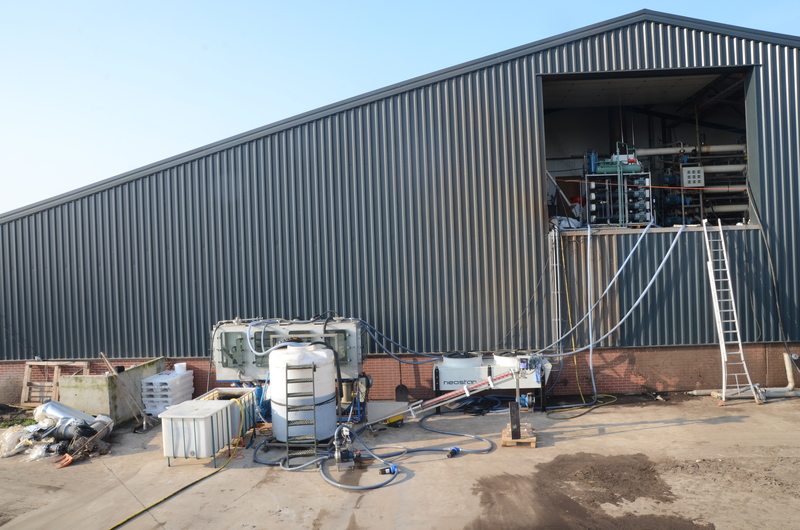 A significant part of the processed manure end up as an aqueous stream with low mineral concentration but with high costs for storage and transport. This liquid waste can be used as fertilizer for arable lands. Therefore the liquid fractions must be stored and transported to regions where it can be applied as fertilizer. The high costs associated with the storage and transport of these liquid fractions make it interesting to look into methods of reducing the volume of these streams. Freeze Concentration makes this option much more attractive economically. Freeze Concentration of manure reverse osmosis retentate is a combination of well-established and novel technologies with the purpose of recovering water and nutrients. Water recovery is achieved by reducing the organic and mineral load of the effluent while nutrients recovery is achieved by creating two mineral rich products which can be used as fertilizers.